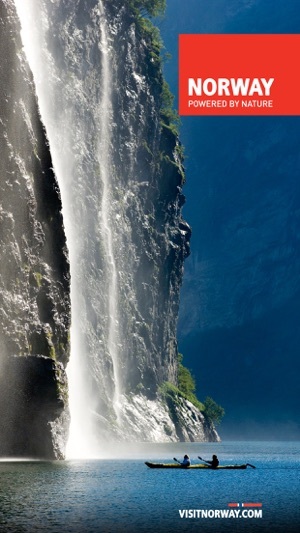 Norway in your pocket! 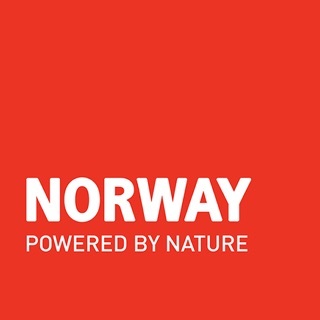 The official travel app for Norway gives you information about travel businesses nearby when you are in Norway. 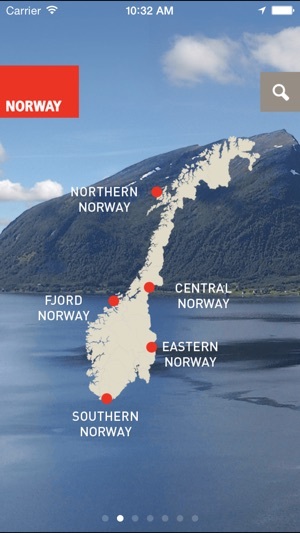 You can also use it as a planning tool before you travel to Norway. The app has literally thousands of places to stay (hotels, hostels, B&B ++), restaurants, activities, attractions and events. 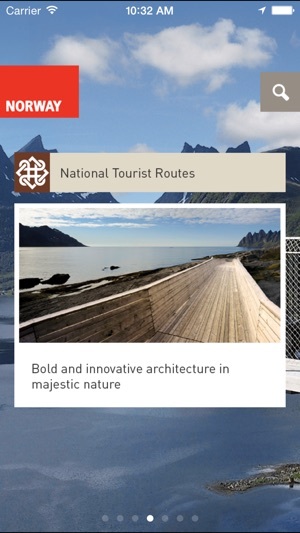 Drivers should use the “National Tourist Routes” section to find the 18 National Tourist Routes: bold and innovative architecture in majestic nature all over Norway. For food lovers the app presents ”Norwegian Foodprints” - a mark of quality for restaurants. The app also has a list of eco certified providers for all those wanting to travel green. Hele Norge i lomma! 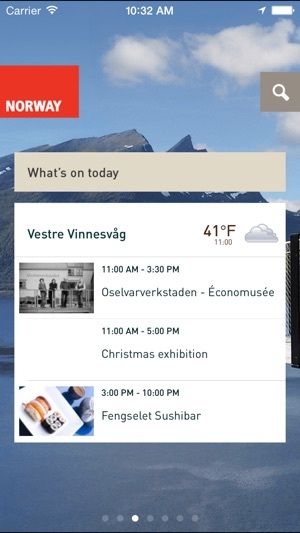 Visit Norway er en gratis app med titusenvis av opplevelser og reiselivsbedrifter i nærheten av deg. Du finner tusenvis av overnattingssteder, spisesteder, aktiviteter og attraksjoner, samt informasjon om hva som skjer – alt i nærheten av deg. Du kan også bruke appen som en reiseplanlegger før du drar. Legg merke til restaurantene med kvalitetsstempelet ”Norwegian Foodprints”: Dette er anbefalte spisesteder med hjemmelaget mat, basert på norske råvarer med lokal identitet. Du kan også enkelt finne de mest miljøvennlige hotellene og aktivitetene i Norge ved å trykke på ”Reis grønt”. Om du skal på biltur bør du bruke «Nasjonale turistveger»-delen av appen. Den gir deg informasjon om dristig og nyskapende arkitektur i storslått natur langs de 18 Nasjonale turistvegene. No way to copy or open place locations with Apple or google maps. 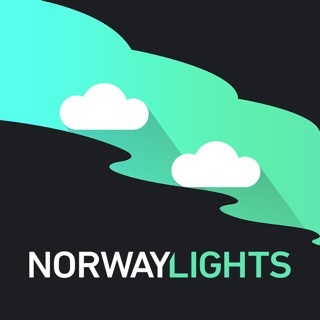 Several members of my family are looking forward to visiting Norway this summer and we thought this app looked like a great tool. Unfortunately, it quits on startup every time, never going past the picture of the Preikestolen. Consulting the support page on Facebook it is clear that users in Norway also have this problem, especially if, like us, they are using iOS 3.1.3. 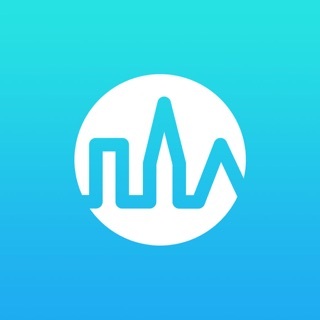 The developers are aware of this but can only recommend that we upgrade to iOS 4.x. This does not help, the devices my family uses are not upgradeable beyond iOS 3.1.3. If the developers wish to say that this app is only supported for iOS 4.x then they should change the listing to say so. If not, they should be clear that they are trying to find a fix for this in 2.0 and/or make version 1.0 available. 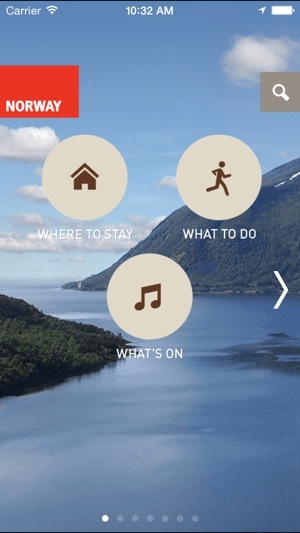 We traveled to Norway and used this app prior to put trip to help with bookings and find places of interest off the beaten path. A great resource and when coupled with the posts on Facebook it was better than any travel guide out there. We chased the Northern Lights following the posts! A must if you are traveling in Norway.